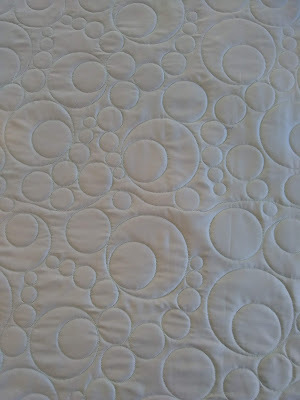 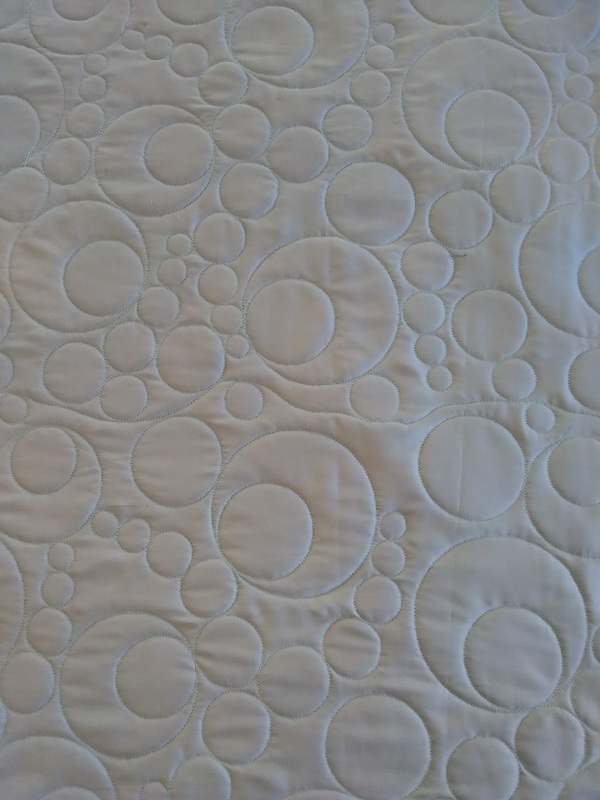 Quilted with the Double Bubble design. 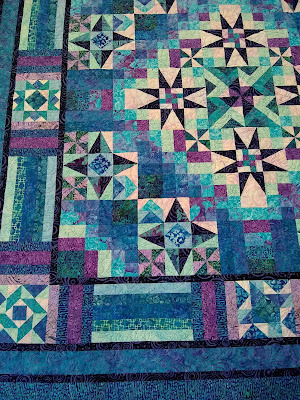 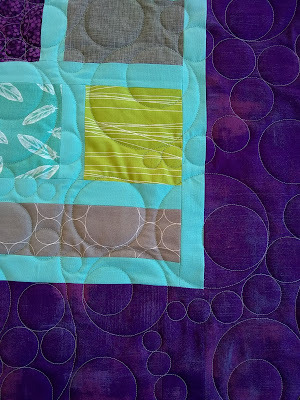 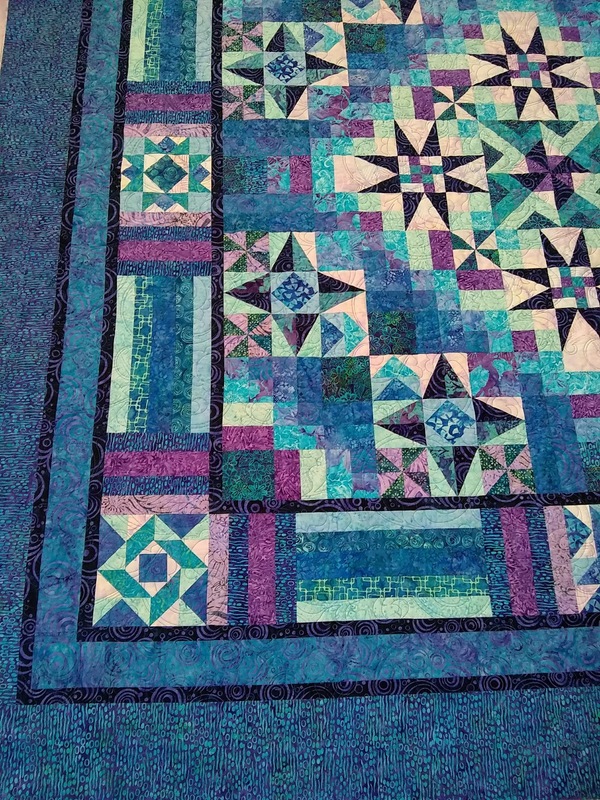 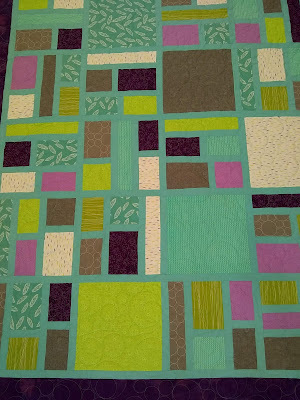 Quilted with the Circle Play pattern in teal thread that matches the sashing color. 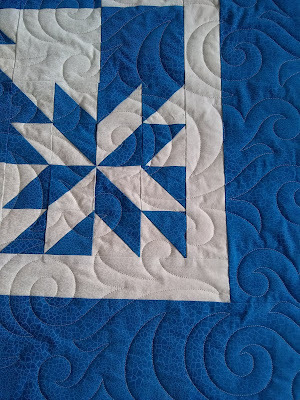 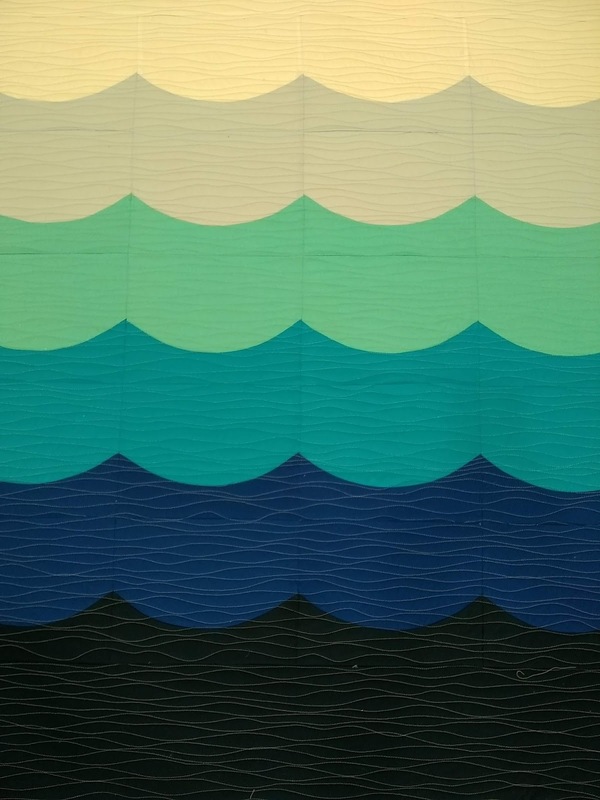 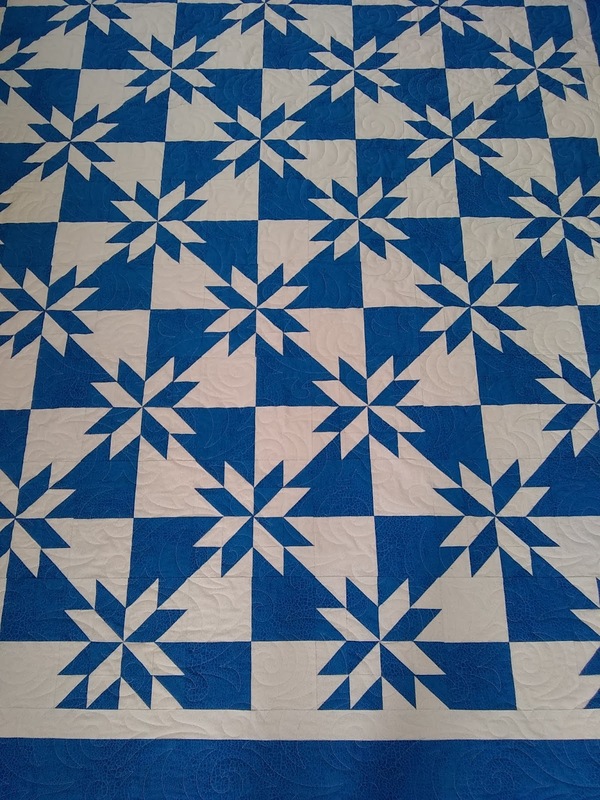 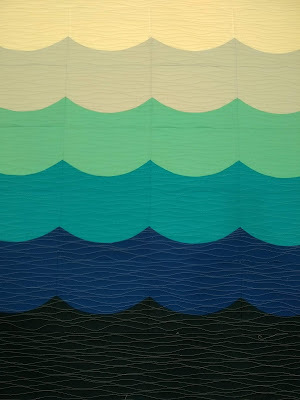 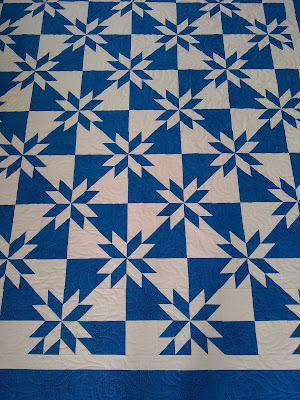 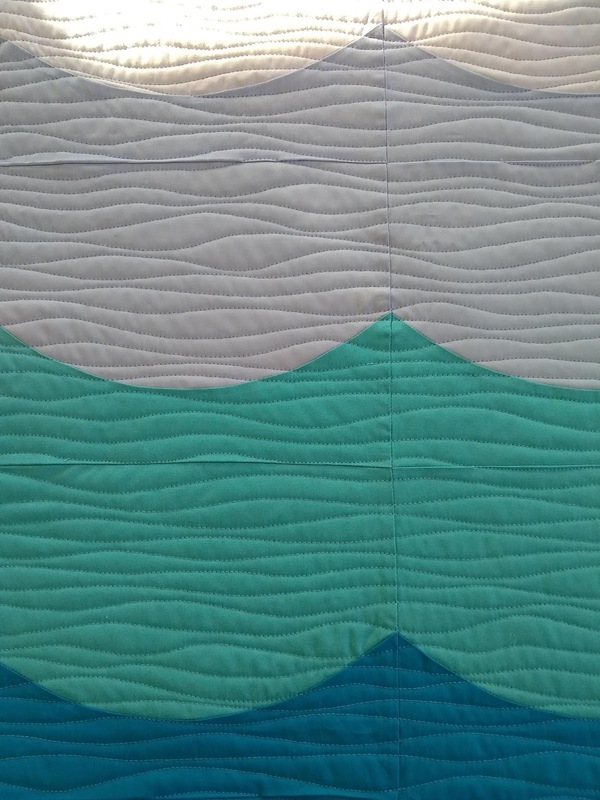 This baby quilt is a pattern from www.kitchentablequilting.com- called Deep Blue Sea. 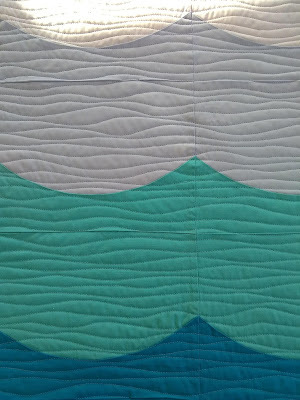 The pattern example is quilted with wavy "water" lines, so I was asked to quilt it similar to that. 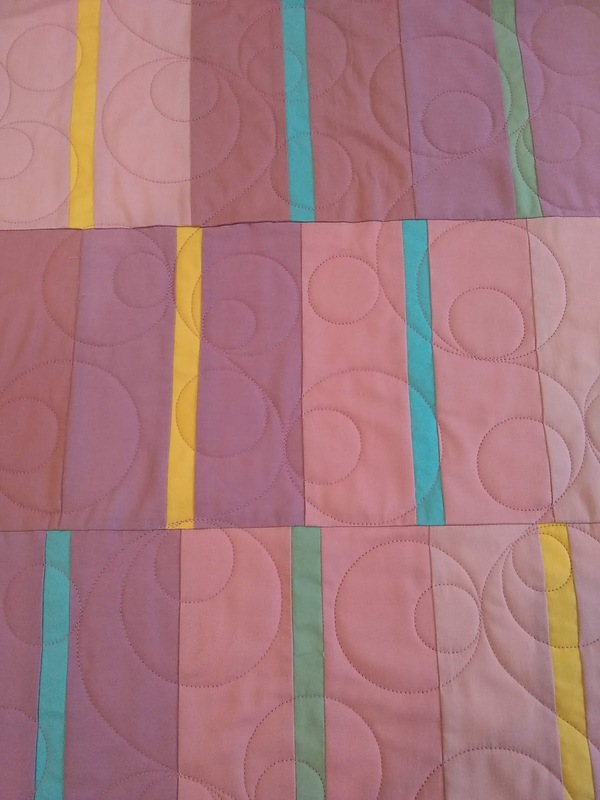 Quilted with the Square Spiral pattern (with rounded points). 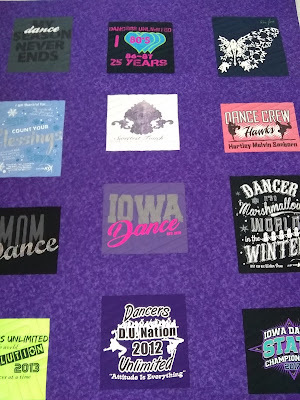 Some of the tags have been left on the shirts- a fun detail that adds interest to the quilt. 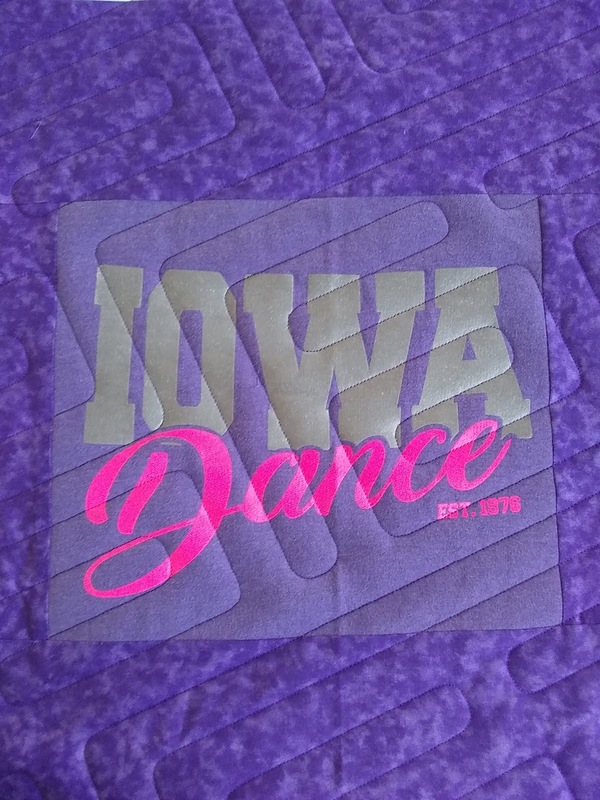 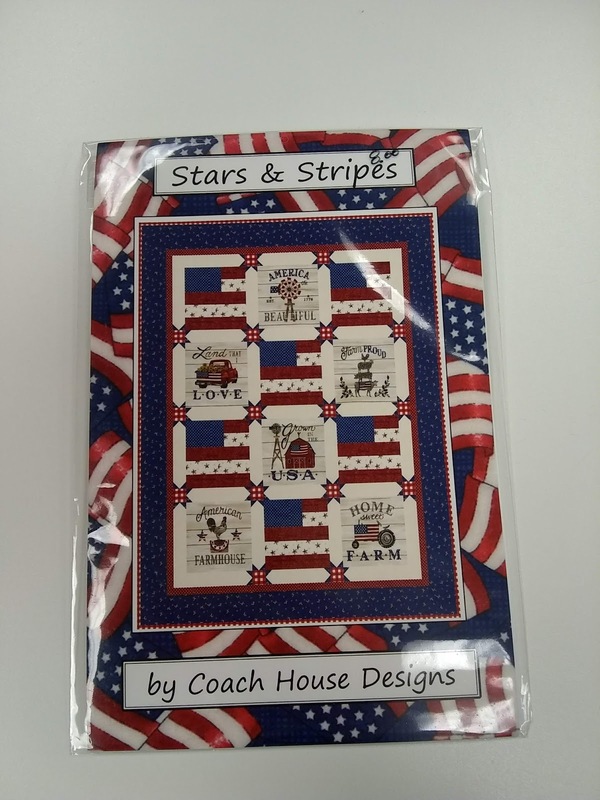 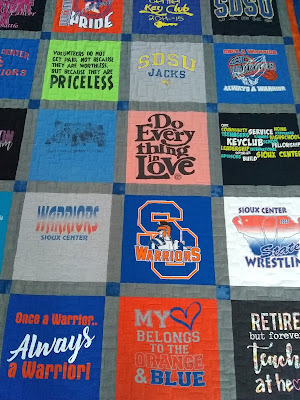 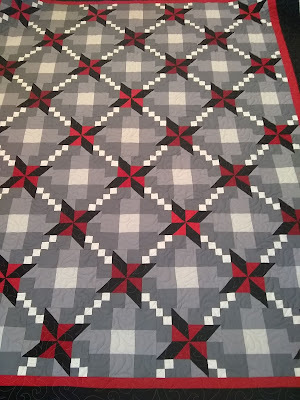 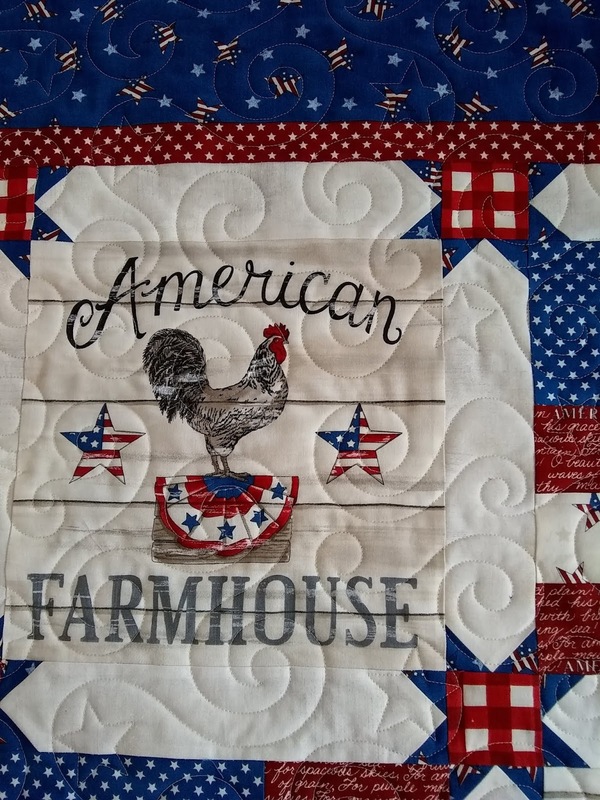 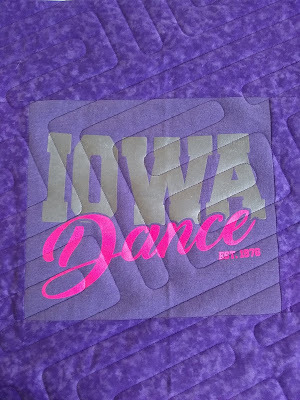 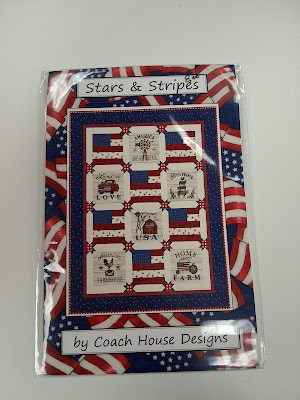 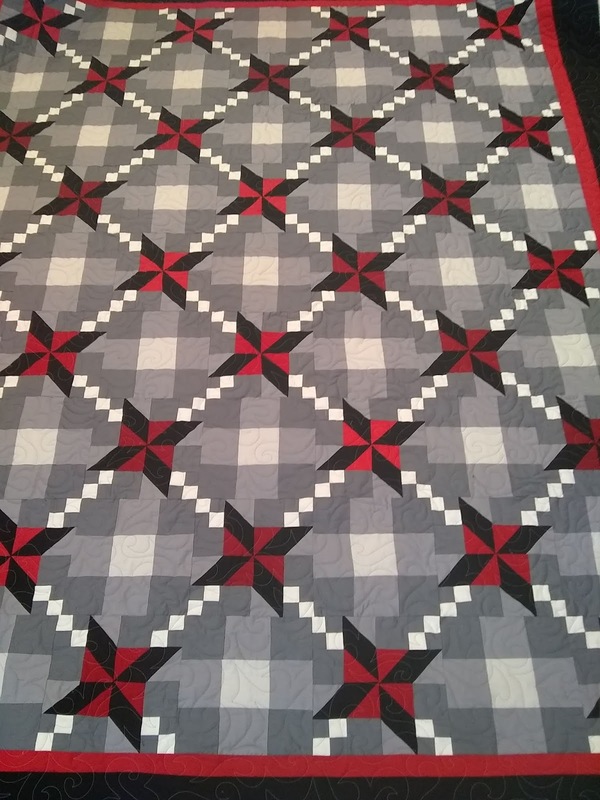 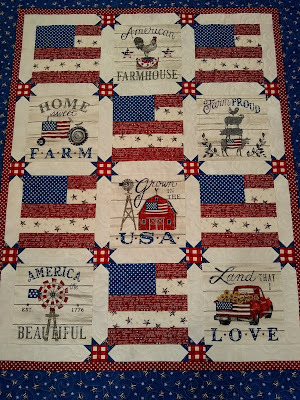 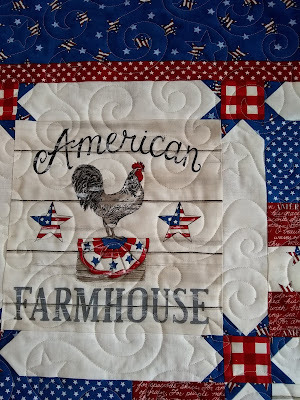 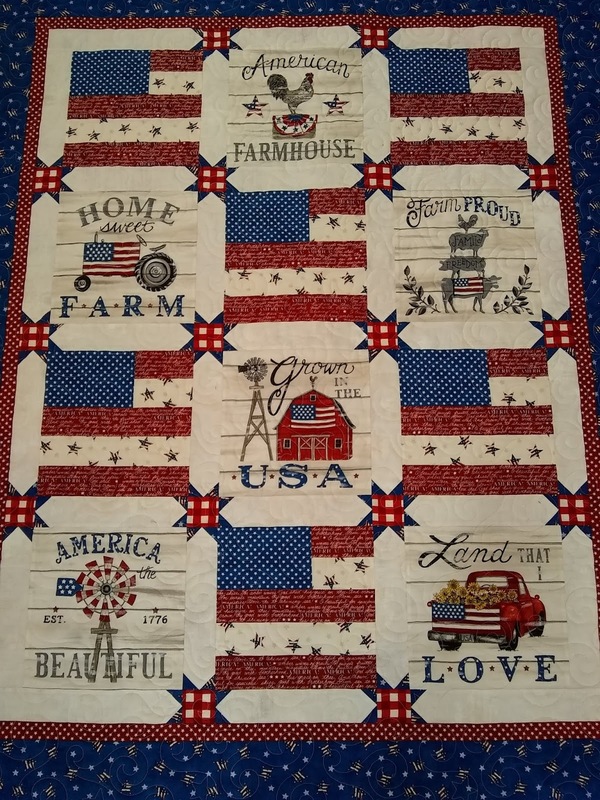 This quilt is kit is available at the Roelof's store in Sioux Center. 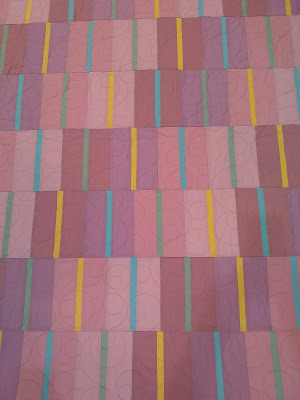 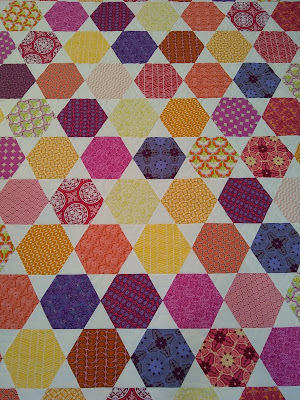 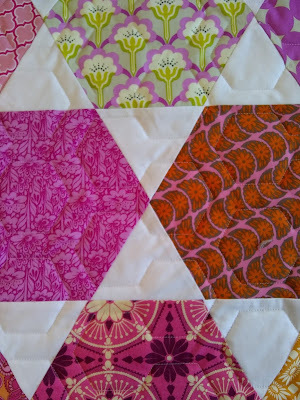 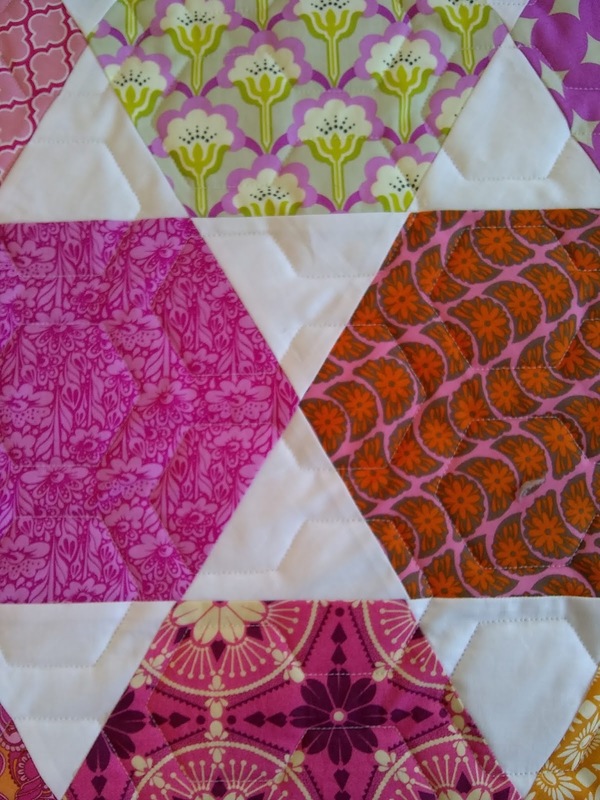 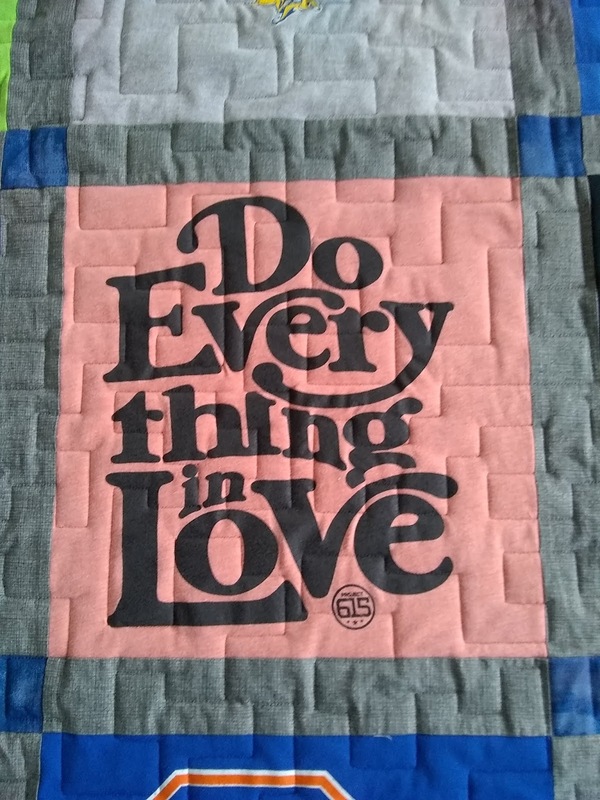 The pattern is called Hopscotch, from the book "Modern Quilts" by Emily Dennis. I quilted this one with the Square Spiral pattern. 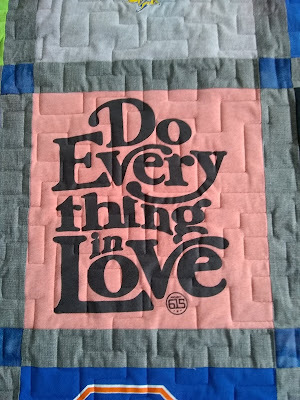 When I meet someone new, and they ask, "what do you do?" 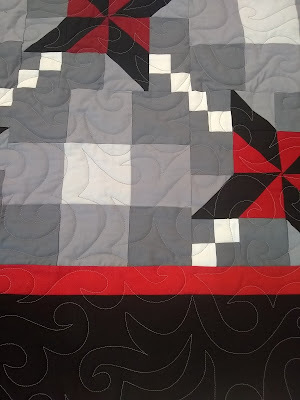 I tell them, I finish quilts on a long-arm machine. 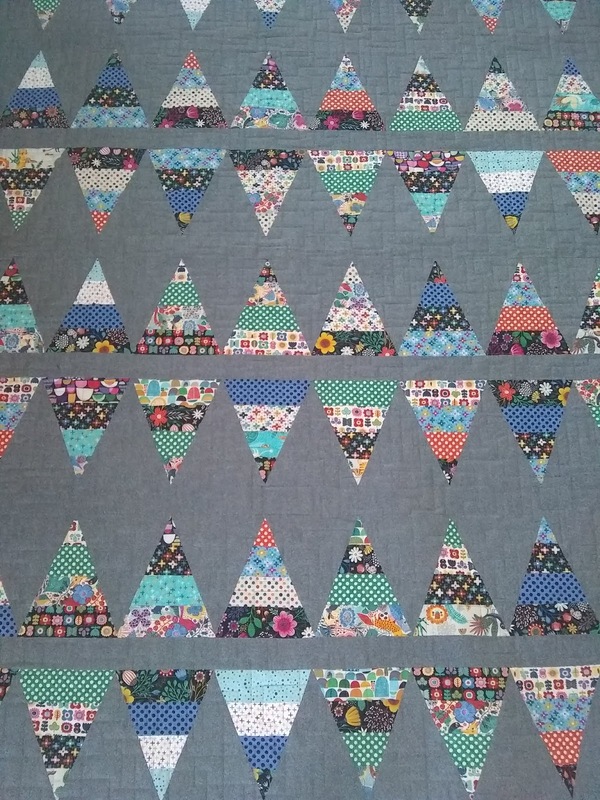 Often, at this point, I can see the question mark over their head. 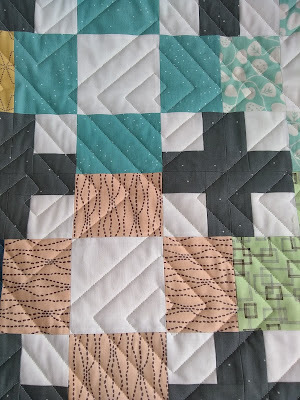 I can imagine they are picture the quilting frame they remember from their Grandma's house, with me sitting by the quilt and a needle in my hand. So, I made a video of the machine running to show how it works. 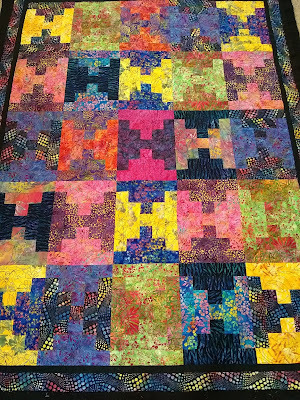 The backing, batting, and quilt top are all loaded separately. 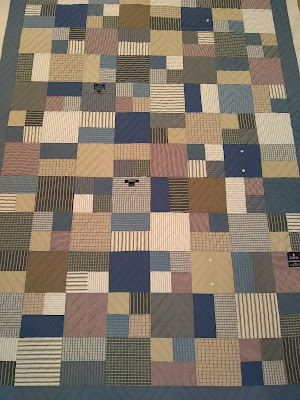 The tablet mounted on the front is a computer that is connected to 2 small motors that move the machine to stitch the 3 layers together in the chosen design. The frame is 12 feet wide. 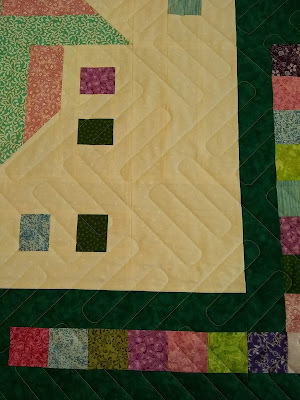 I can also disconnect the computer and guide the machine by hand with the handles you see on the front. 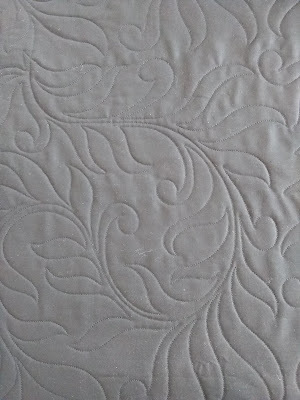 I mostly do computer-guided designs, however, to avoid the strain on my neck/shoulders. 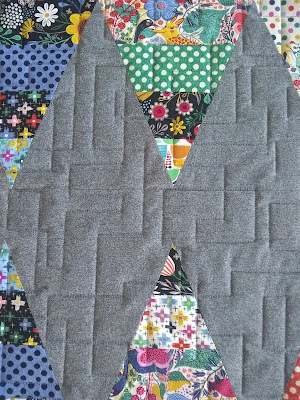 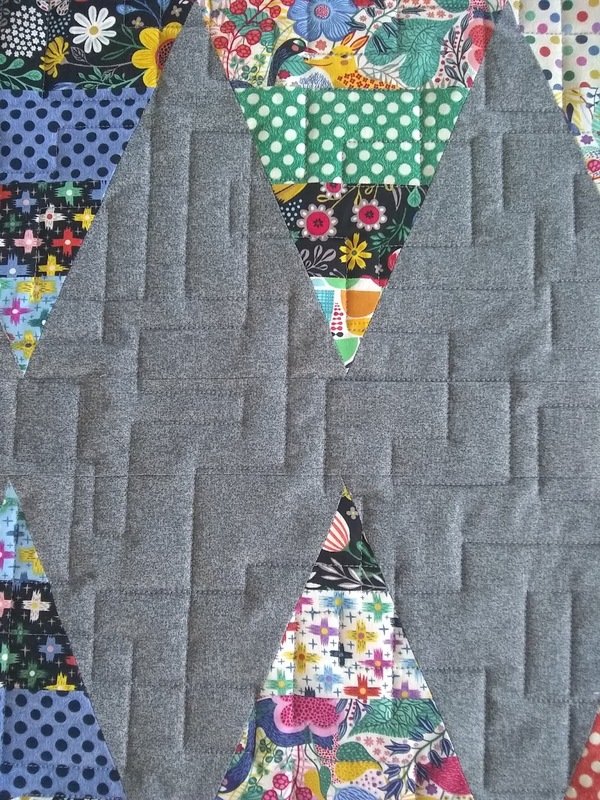 Quilted with the Criss-Cross pattern. Quilted with the Garden Path pattern. 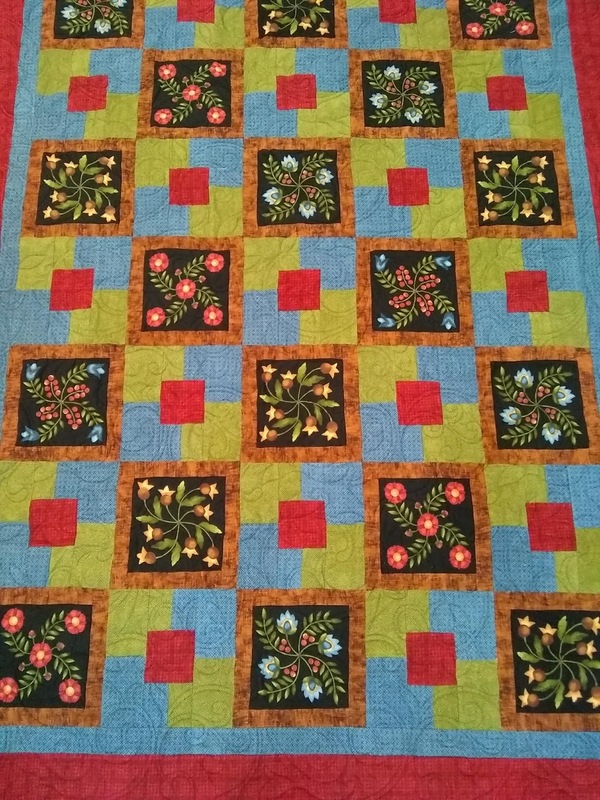 Quilted with the Dynasty pattern. 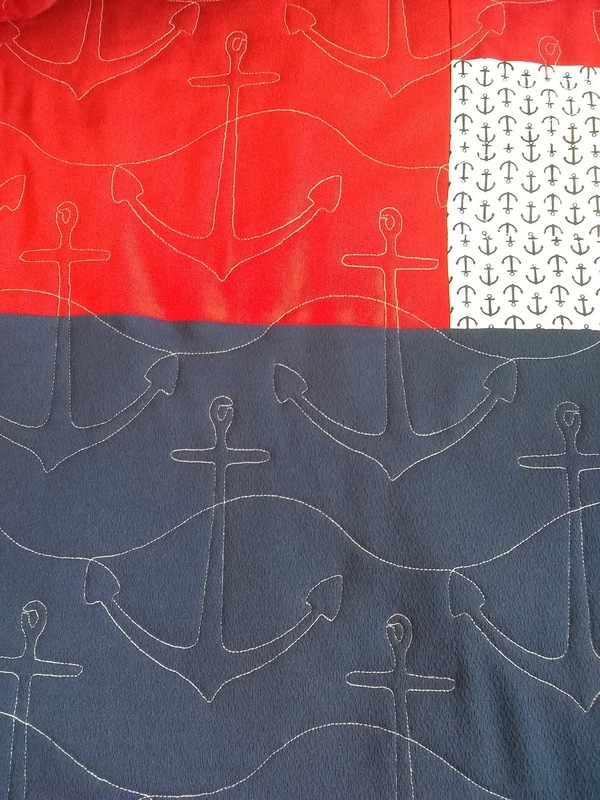 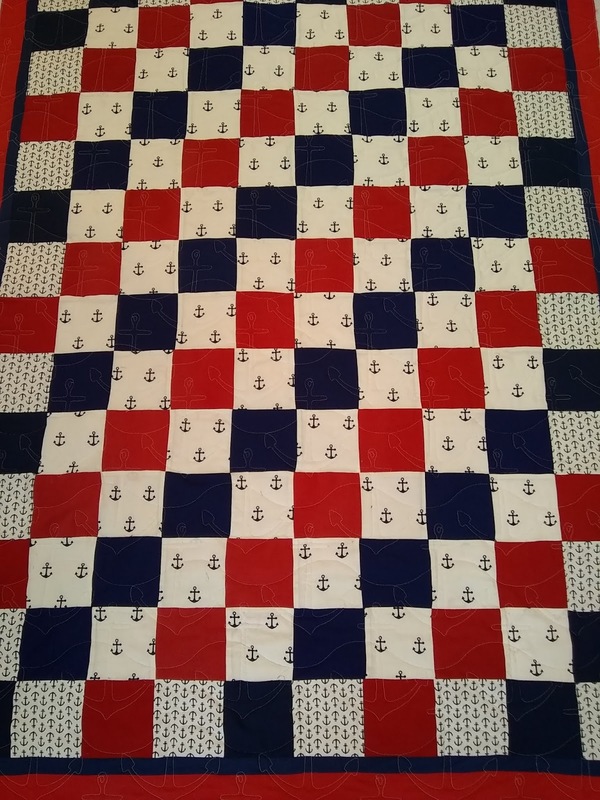 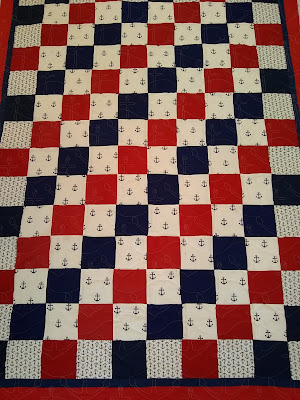 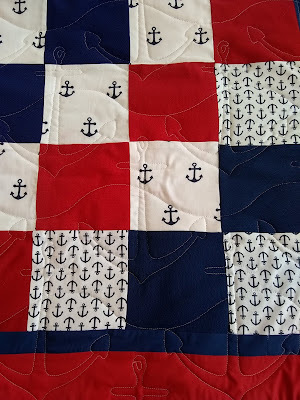 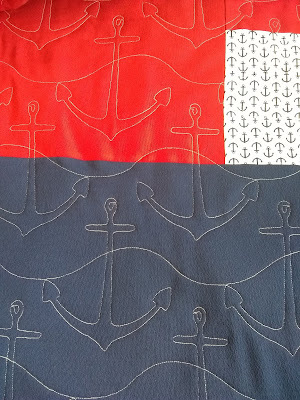 Quilted with the Anchors pattern. 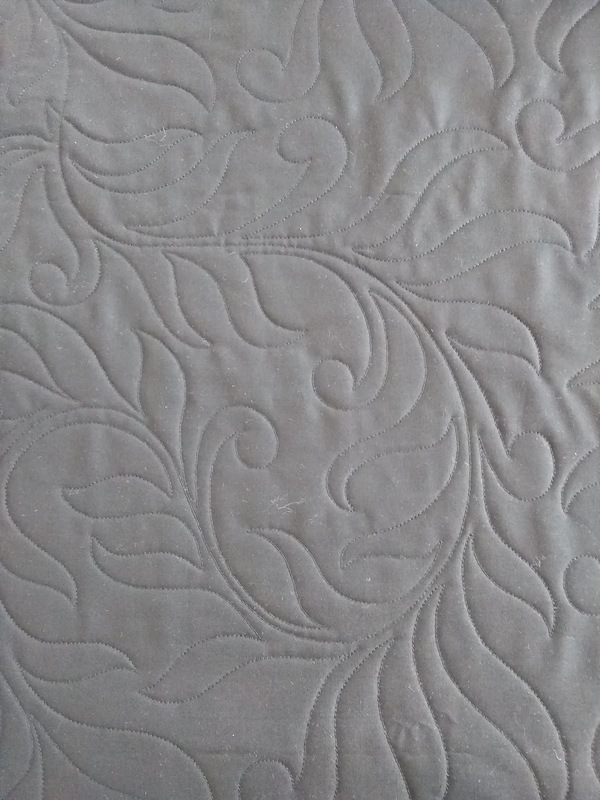 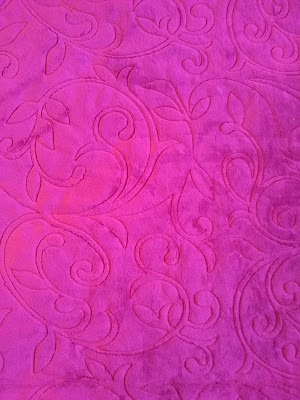 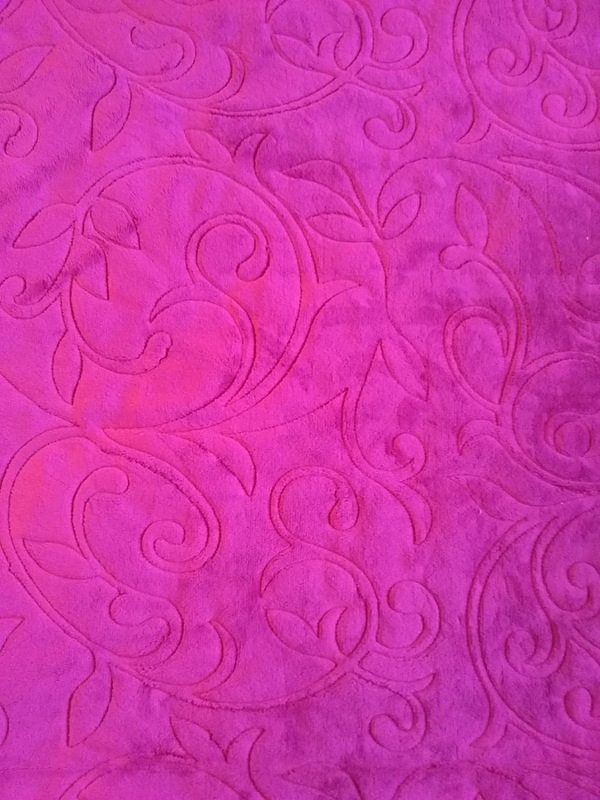 Quilted with the Flourish pattern. 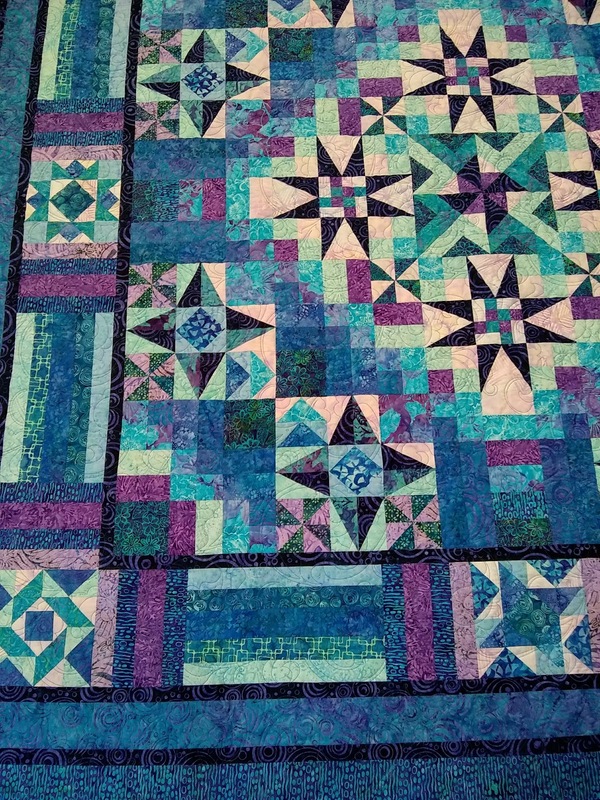 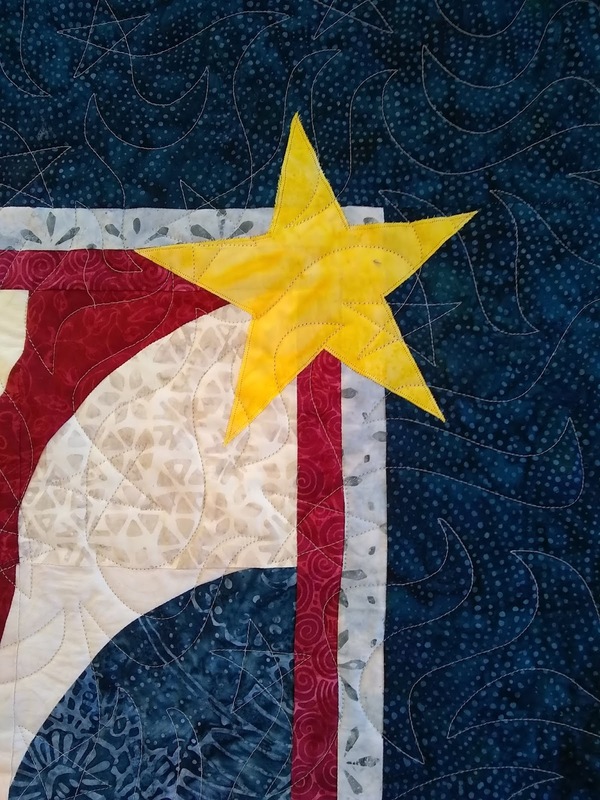 I quilted this one with the Star Sparkle pattern. 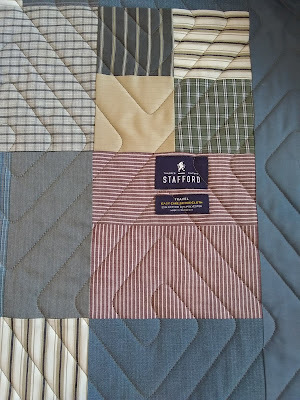 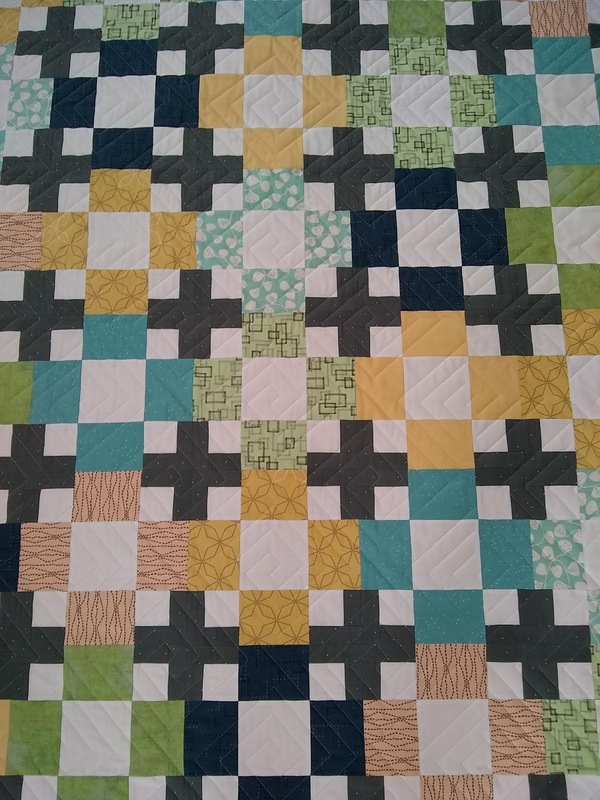 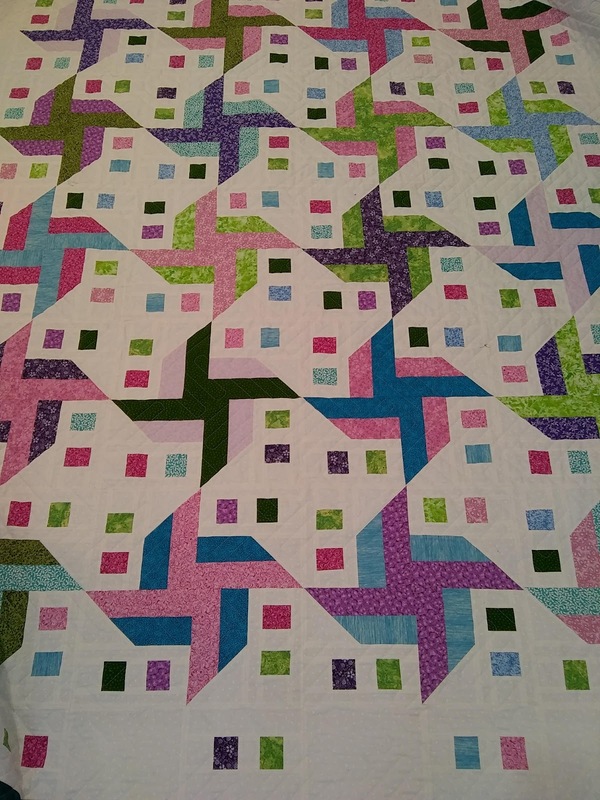 Quilted with the Square Maze pattern. 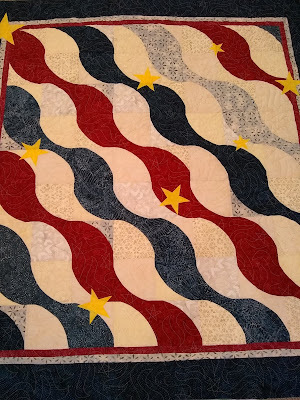 Quilted with the Allegiance pattern. 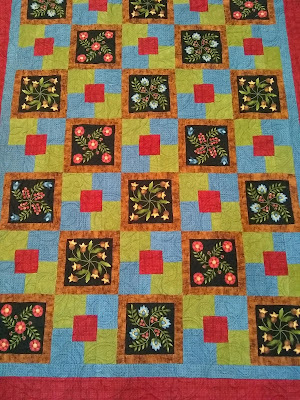 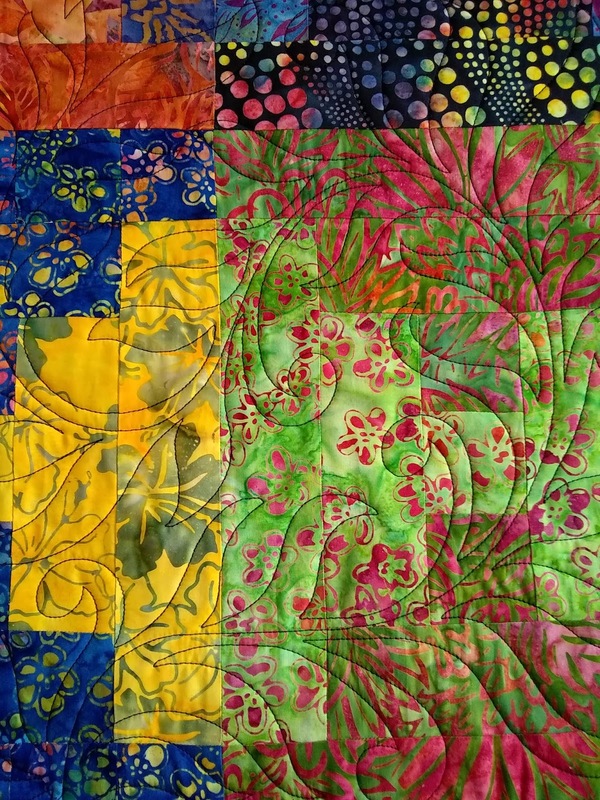 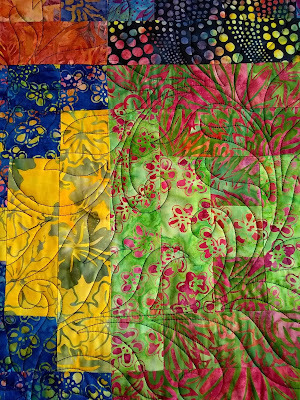 Quilted with the Gala Vine pattern.